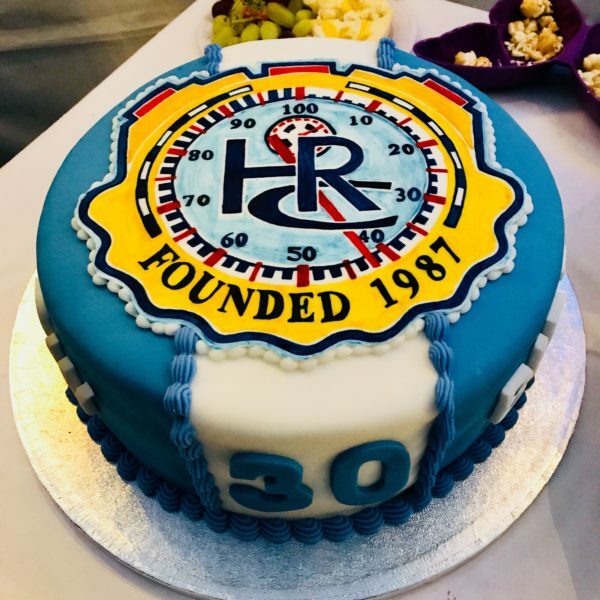 Hinckley Running Club was formed in October 1987, and in 2017 we celebrated our 30th anniversary. 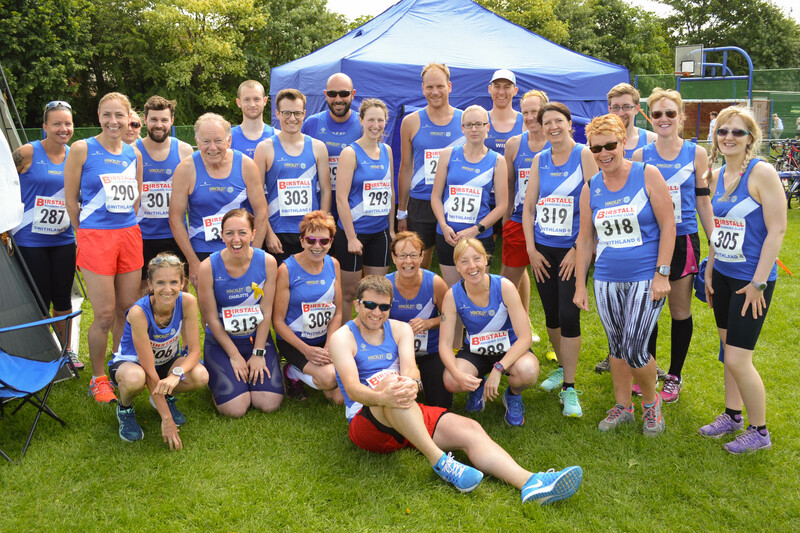 Hinckley Running Club is a social and supportive community of runners of all abilities in Hinckley, Leicestershire. New members are always welcome. For many members our Tuesday and Thursday evening sessions provide a focus for regular running, and our beginners group “Hinckley All Sorts” meets on Wednesday nights. Members also like to get together for other runs and especially for a Sunday morning long run. There are opportunities for racing throughout the year, and the club participaties in the Leicestershire Road Running League and Derby Runner Cross Country League. Our members also enter a wide variety of other races of all kinds and will often be seen at the local parkruns. Our junior section provides a fun atmosphere as well as competitive opportunities for running and athletics for children for aged 7-15. The juniors also host a regular open-to-all community running event for all ages (both adults and children), called the Toucan Run. Our usual meeting place for runs and training sessions is Hinckley Leisure Centre, Argents Mead, Hinckley, Leicestershire, LE10 1BZ. To get in touch, see the Contact page. You may also find answers to some of your questions on our Frequently Asked Questions page. You can also find us on Strava and Instagram. We love to welcome new members. If you are interested in joining the club, we invite you to come along to our Tuesday and Thursday evening sessions for up to of 3 weeks before to applying for club membership. This allows you to “try before you buy”. You don’t need to let us know you’re coming – just turn up! Make yourself known to one of the coaches or club captains so we can welcome you to the session. We look forward to meeting you. When you are ready to join, click here! Tuesday evening is our coached training session and this is the key to speed improvement for runners at all levels. There is a 1 to 2 mile warm-up jog to reach a destination somewhere in Hinckley or Burbage. Once there, one of the qualified club coaches takes charge for a session of 30-40 minutes. Every training session is different — but usually involving interval training and often (but not always!) a hill. The details of each session are announced in advance. Wednesday evening is the night for the Hinckley All Sorts beginners and intermediates groups. These session cost £2 on a “pay as you go” basis and are open to anyone — there is no need to be a member of the main club. However, HRC members can attend the All Sorts sessions for free. Thursday evening is the ‘social run’ with a longer route of 8-10 miles and a shorter option of 6-7 miles. Each week, a different route is chosen and announced in advance. All routes start and finish at Hinckley Leisure Centre. The group usually splits into smaller groups of different paces, typically from 7 min/mile through to 11 min/mile. All sessions are free for club members. Non-members are welcome to come along to tuesday and thursday nights free for up to 3 weeks before joining – see “Join the Club” above. Sessions meet at Hinckley Leisure Centre from 6:15pm for a 6:30pm start. On training nights, club members have free access to the changing rooms and showers (in downstairs corridor opposite sports halls). Coin operated lockers (£1 coin) are available. Typical attendance is about 30 to 50 runners. In summer, we meet outside the leisure centre near the café benches. In winter, we meet inside the leisure centre — head past reception (just say you’re here for the running club) and down the stairs on the right to the first meeting room on the left. During the dark winter months (October to March) we wear high-vis/reflective clothing for all runs. Many potential new members are concerned about whether they are at a suitable level. As a guide, to take part comfortably in a Tuesday night session you would need to be able to run 5k (3 miles) in less than 35 minutes. On Thursday nights you would need to be comfortable running 10k (6 miles). If you are are an absolute beginner to running, or looking to build up your running towards a 5k or 10k distance, then we recommend our “Hinckley All Sorts” beginners and intermediates group, which meets on Wednesday nights — see Beginners. See also our Frequently Asked Questions for more info for prospective members. A Thursday night in April — Clocks forward means it’s light enough to go out on the local lanes. As well as our weekly training sessions, lots of our members take part in a variety of races throughout the year. 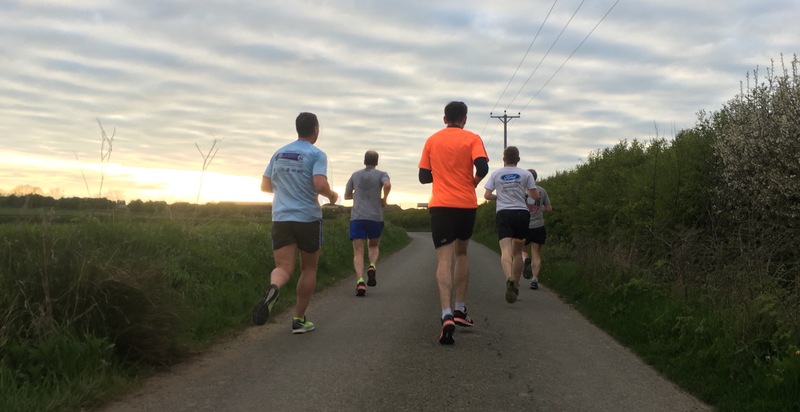 A major focus for the club is the Leicestershire Road Running League — a popular series of low-cost races where HRC members compete alongside runners from other local clubs. In winter months, the Derby Runner Cross Country League is a fun way to test oneself in off-road racing. Our members also enter countless other races and events of all kinds, from parkrun to marathons to track, trail, relay events, ultras, triathlons and everything else imaginable. HRC is affiliated with England Athletics (EA), the national governing body of the sport, and club members have the option to pay an additional annual fee to register with EA. Registration offers access to a wider range of events and gives discounted entry to many races. We are also affiliated with the Leicestershire and Rutland Athletics Association. Hinckley runners at the Swithland 6 league race. Our popular juniors club runs in the early evening on a Wednesday. Please see the Juniors page for details.